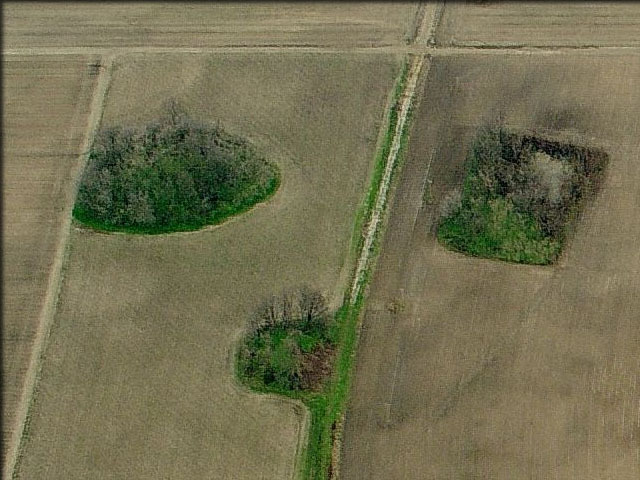 Six mounds were recorded at the Arcola Site in the 1920s. By the 1940s, however, two of the original six had been plowed down, and today, only three remain. Mound A, a rectangular platform mound, is the largest of the remaining mounds at over 30 feet tall. 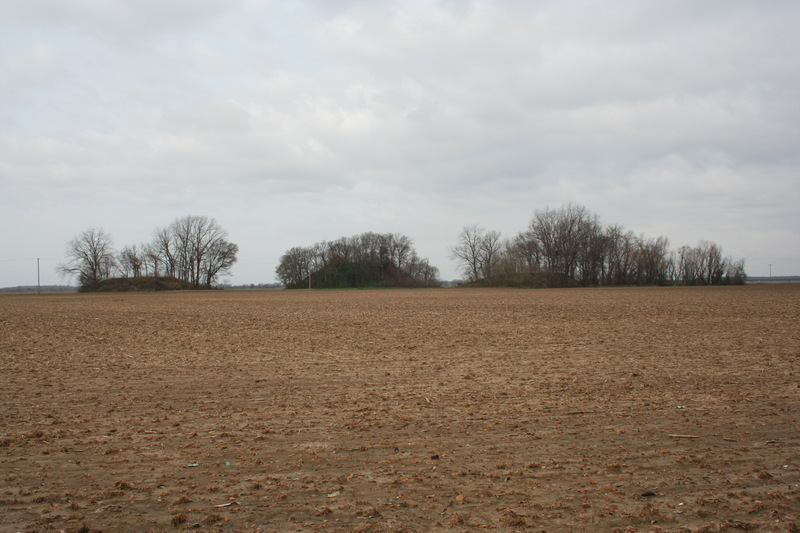 Professional archaeologists conducted excavations in the southeast flank of Mound A in 2013. They discovered evidence of at least one building in the form of wall trenches, post molds, and fired clay rubble from the structure walls. Pottery and other artifacts from the excavation indicate that it was built by Native American people during the Mississippi Period, between AD 1200-1600. Mound A has a ramp on its eastern side that faces across a plaza towards Mound C, while Mound B is located to the southeast of Mound A.
Mounds B and C have both been damaged by borrowing for road construction and now stand roughly 16 feet tall. Professional archaeologists also found evidence of buildings associated with both of these mounds. Though no longer visible, Mound D was located about 130 feet east of Mound C. Two additional mounds were once located roughly 150 feet from Mound A, one to the north and the other to the south. 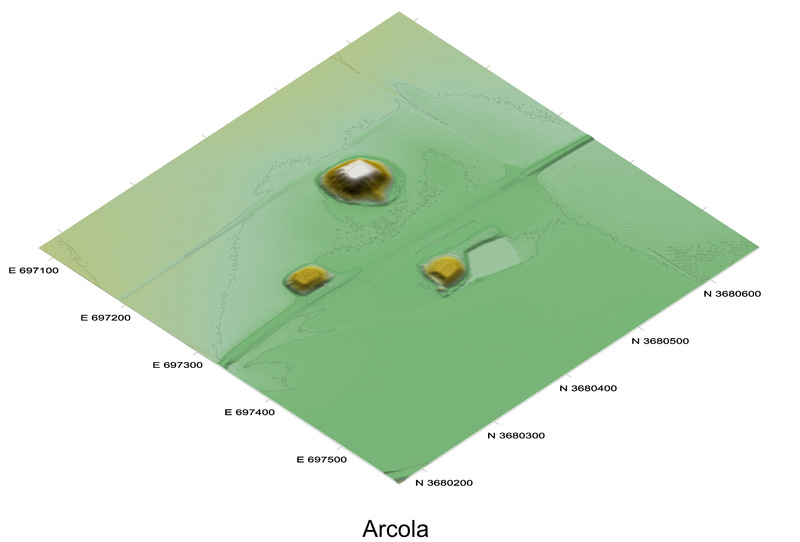 While all of the remaining mounds were constructed during the Mississippi Period, pottery and other artifacts from the area between Mounds A and B indicate that Native American people were living at Arcola as early as AD 900. In recognition of its outstanding cultural and historical significance, Arcola was listed on the National Register of Historic Places in 1991.